Third Grade is being introduced to the Artist Wayne Theibaud this week. Theibaud is one of the only a few living American Artist that can sell their art for over 1 million dollars a piece. Thiebaud is most famous for his depiction of desserts like cakes and pies. His use of oil paint has been compared to frosting on a cake. Like you almost want to taste the paintings. This week we are focusing on learning about Wayne Thiebaud and learning how to draw a 3D cake or pie. Next week we will improve upon our practice and re-draw the cakes and pies onto black paper. 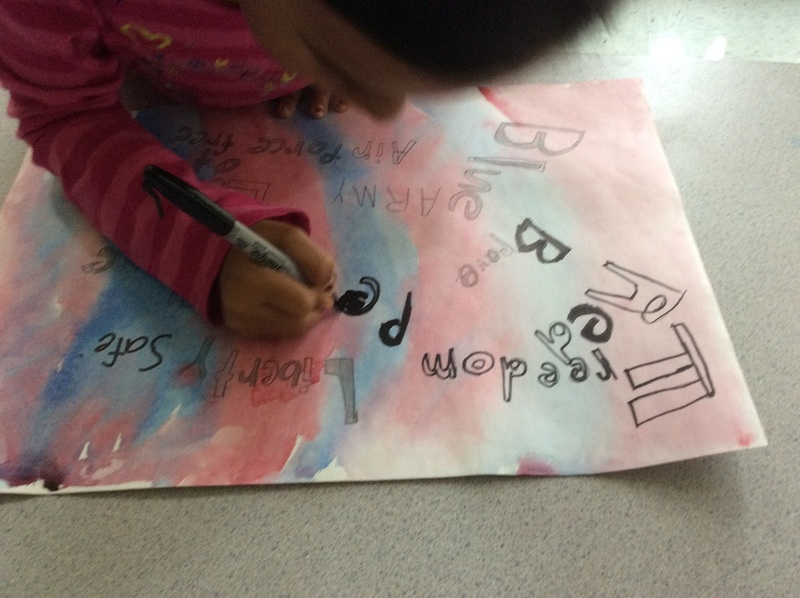 We will use chalk pastels to add color and talk about light and shadow within an artwork. Winter doesn't seem to want to end so 3rd grade is making the most of it! 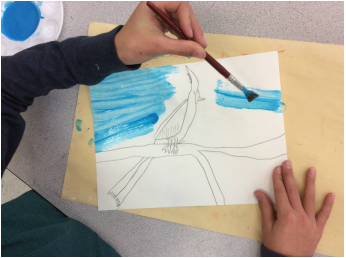 The past few weeks students worked on learning how to draw a bird, specifically, a cardinal. Cardinals are one of the few birds that doesn't seem to mid winter too much and their bright red color really pops when their is snow on the ground. 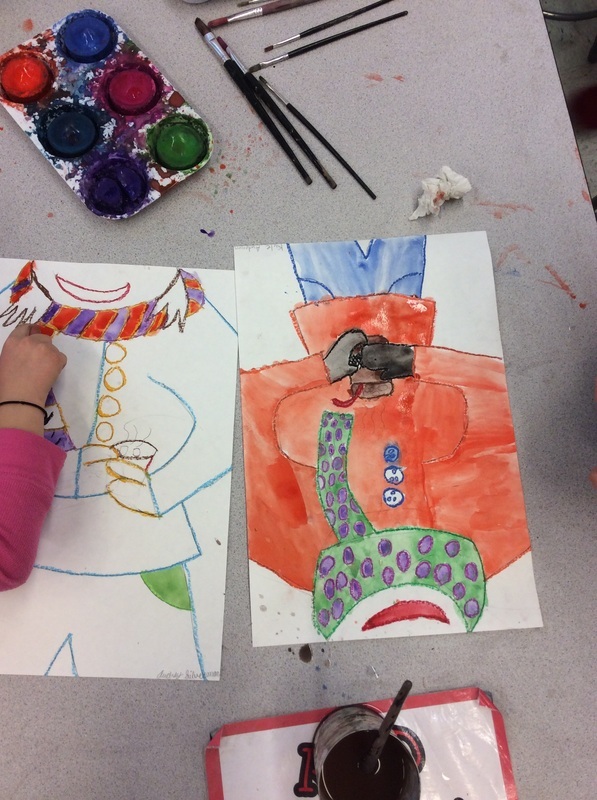 After drawing it we worked on painting with smooth and fine lines. Some students really struggle with patience and attention to detail in art, so we are trying to show them tricks and tips to get better. 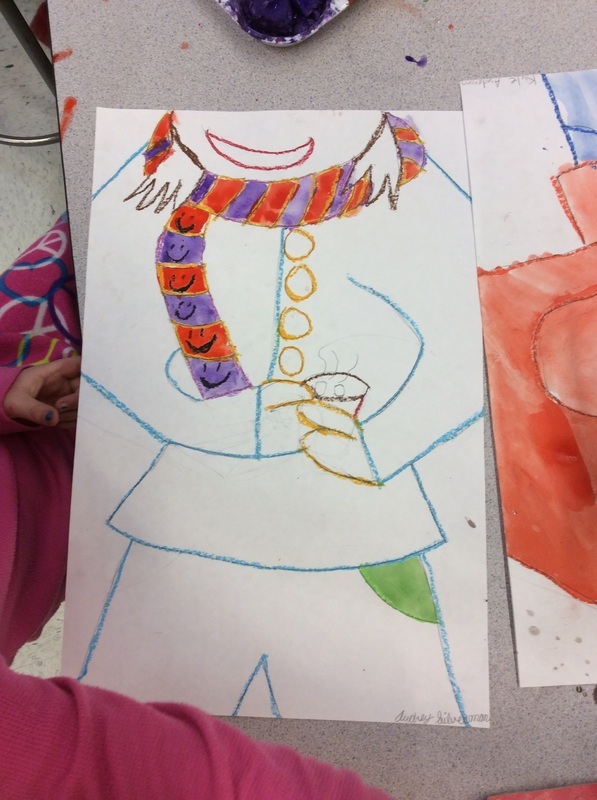 3rd Graders started their self portraits just before winter break. They have been working hard on this difficult project. They have learned how to set up their face for facial proportions using fractions to measure the distance between features. The students draw EVERYTHING themselves. I only help them at the start to make sure their face shape is symmetrical. This week we learned the 'magic' trick to make our faces symmetrical. I helped this week a little bit by sketching in their hair. Hair is very difficult for students to draw and there are a lot of different hairstyles which make it almost impossible to teach in a timely manner. 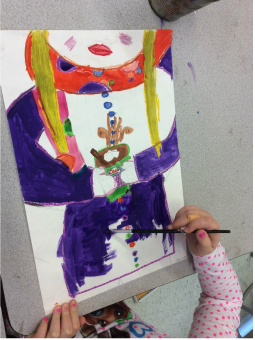 This week, we are starting every parents' favorite project: the self portraits, where we learn proper facial proportions and the create themselves in pencil then, paint. Today is Veteran's Day! 3rd grade did a great job finishing up their collage flags. 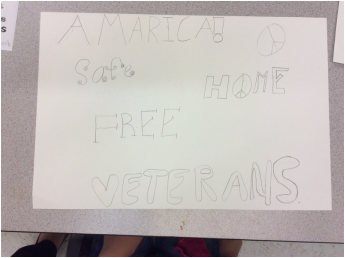 They will be on display outside the JH cafe for the rest of the week, then uploaded to Artsonia. Enjoy a sneak peak at Step 2 of 4 on the project below. 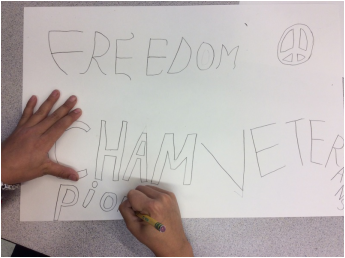 As you know, Veteran's Day is a big deal here at OGS (which it should be everywhere!). 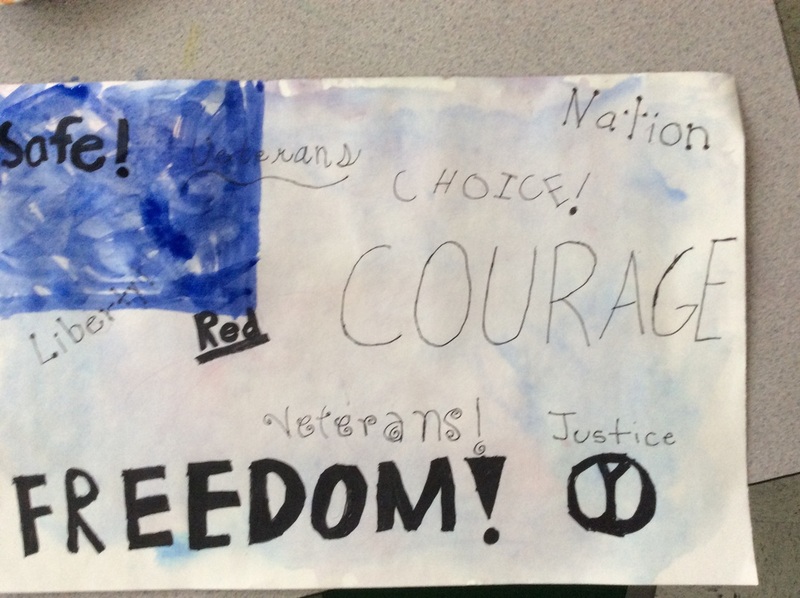 3rd graders are lucky enough to be the featured artists each year for our Veteran's Day celebration. Every year, we do something a little different. 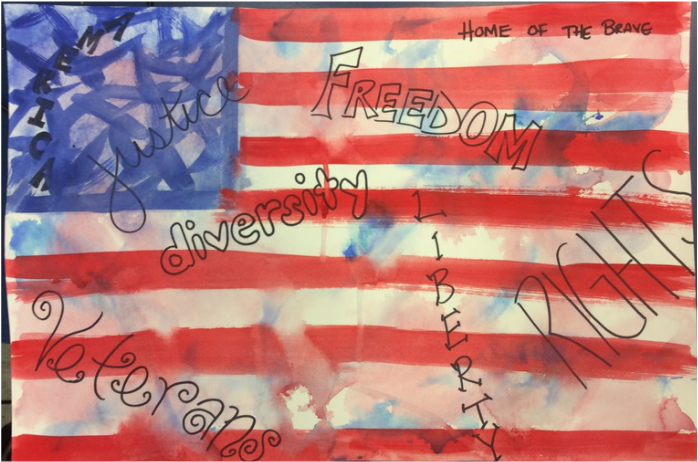 This year, the classes will be creating a layered flag collage. The first layer will be text in pencil, then sharpie marker. 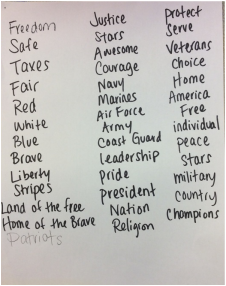 We brainstormed a list of patriotic words by talking about what it means to be an American. The next layer will be a watercolor light wash of red and blue. The next layer will be painting the blue box and red stripes to make the flag come to life. Lastly, we will add more text and imagery using magazine cutouts. The collages will be sealed with a mod podge coat. 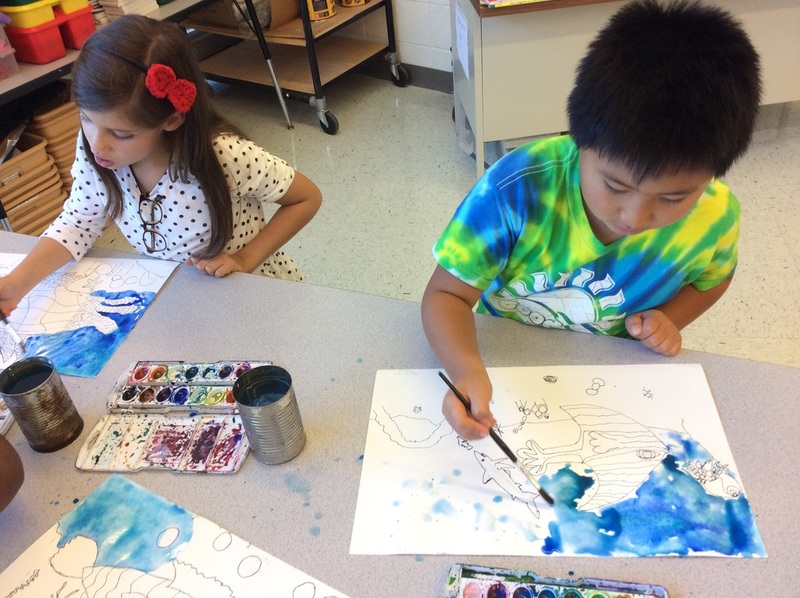 We wrapped up the watercolor painting portion of the project last week. 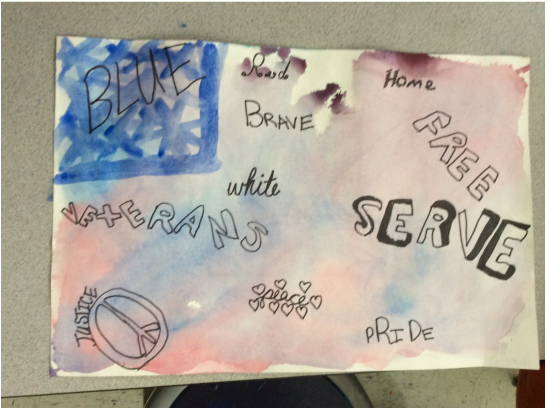 There was a lot of trial and error with the water color paint. 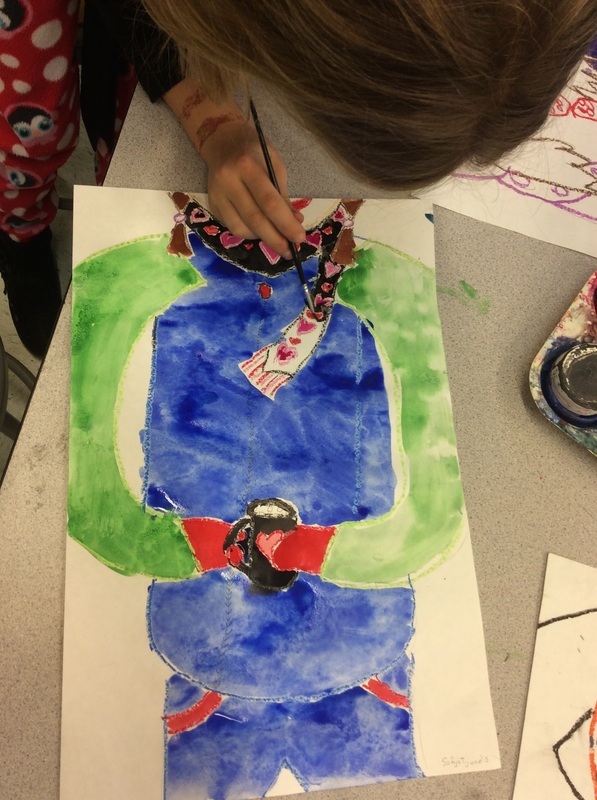 Students learned that they have to be very patient with watercolors and allow things to dry otherwise colors can mix together in an unwanted way. I think they turned out great! It was fun to see all the different choices each student made and the personalities they gave their fish. 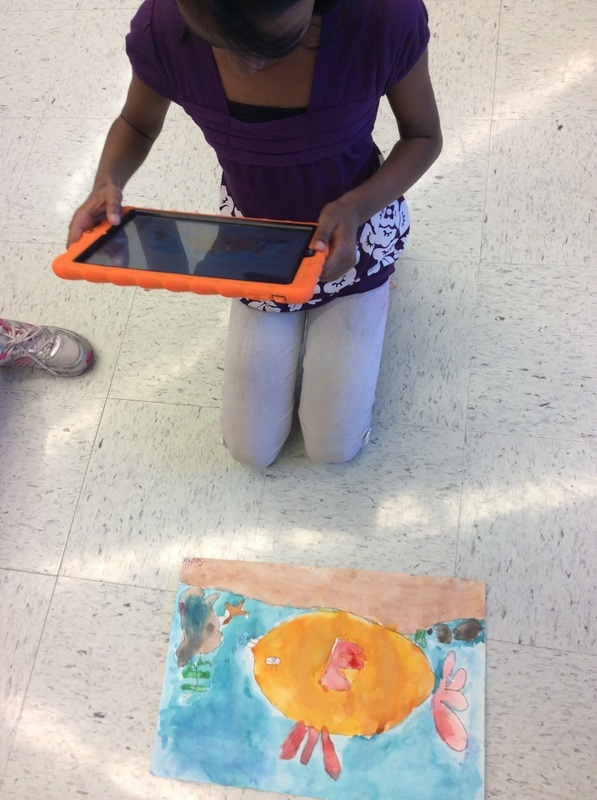 After the students completed their assignment, they uploaded their art to their Artsonia accounts using a QR Code link and their iPads. 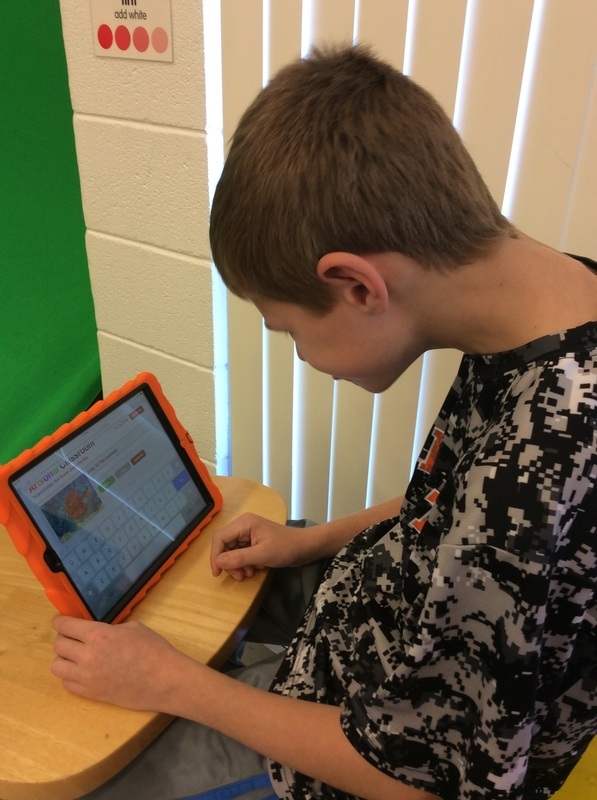 Because the students started doing this on their own as second graders, they are becoming pros at the process! 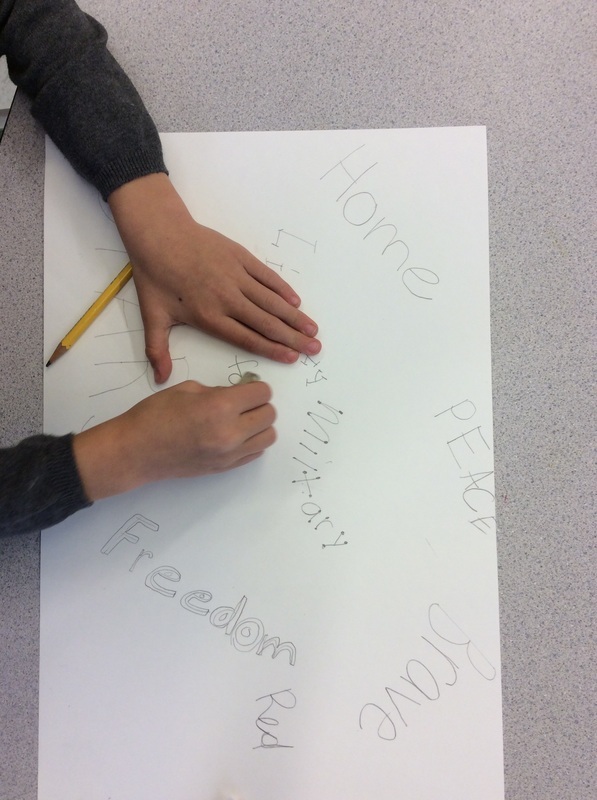 3rd Grade is getting close to the finishing steps of their first project of the year. 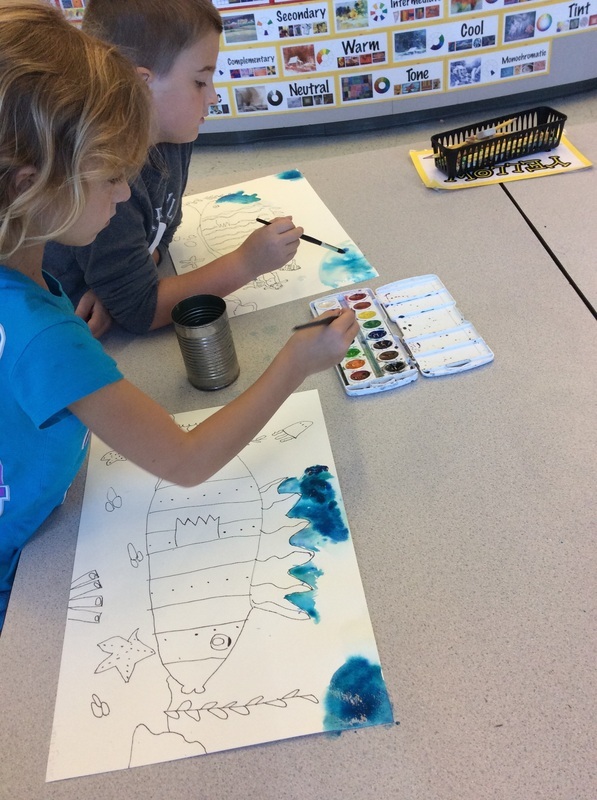 We are creating Under the Sea fish scenes. 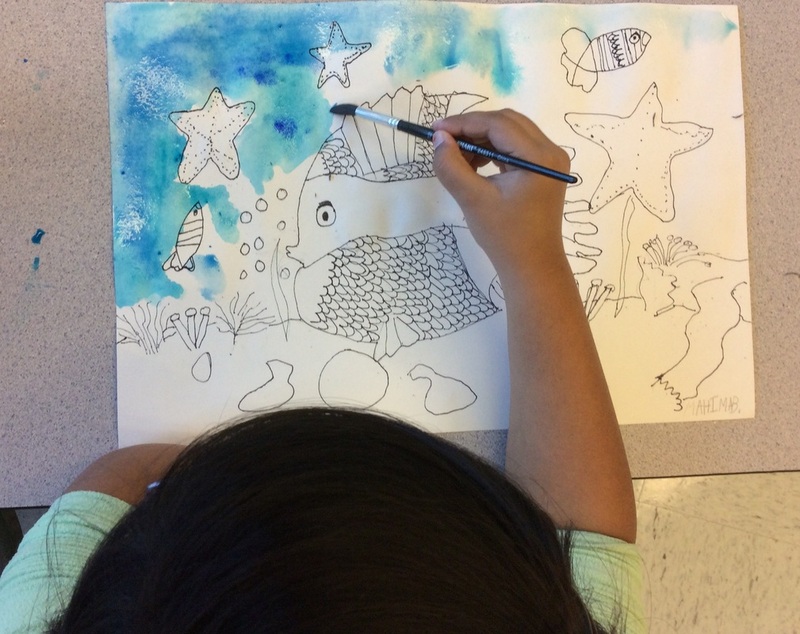 They will learn how to draw more realistic fish and scenery like coral and sea anenome. 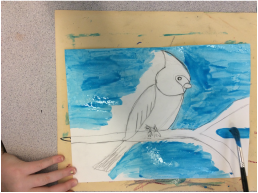 3rd graders will then learn more about watercolor and a couple techniques to try out on their paper. 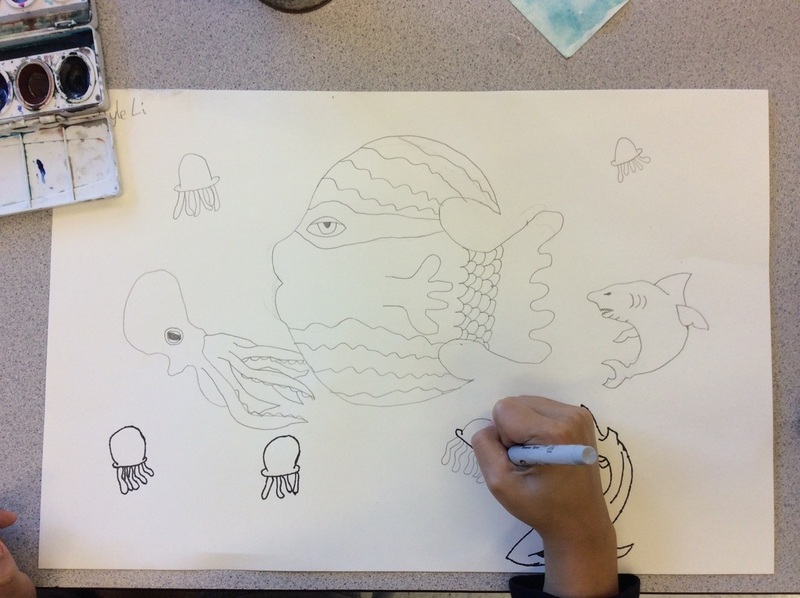 Step 1: Practice drawing 2 different kinds of fish step by step following Mrs. Vance on the board. 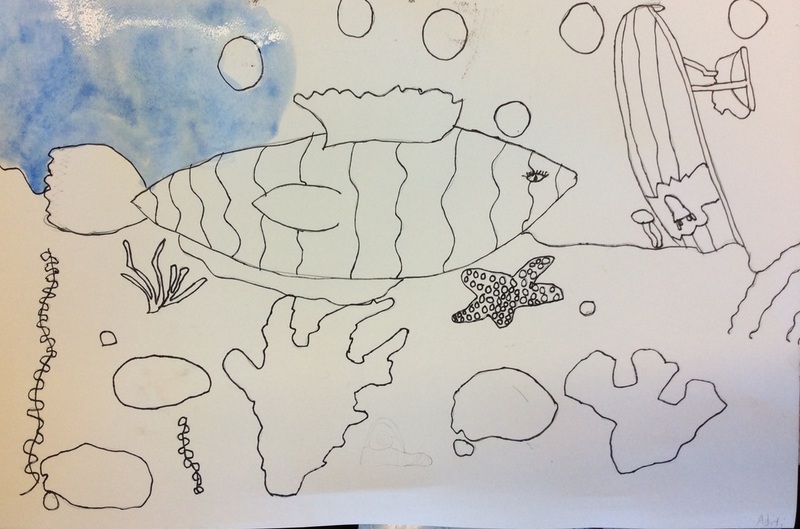 Step 2: Draw in background/reef for fish. Add in own personal details after doing some google searching. 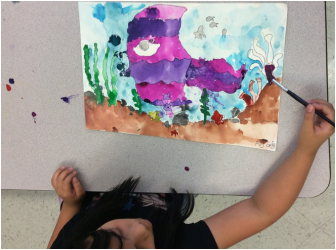 We utilized google image searches and the 'line drawing' search tool to look at drawings of coral, sharks, sunken ships, mermaids, tropical fish, etc. Step 3: Re-draw final choices for fish and background in pencil onto good watercolor paper. Step 4: Use a fine point sharpie marker to trace all pencil lines and erase out any remaining pencil. Step 5: Paint background / water using wet into wet watercolor technique. Welcome back to a new year and a new art website. 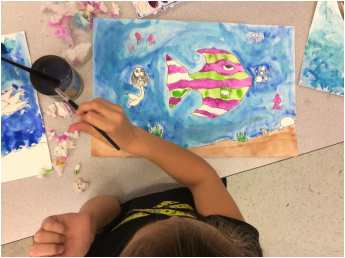 We are very excited to update you weekly about what is going on in the 3rd grade art room!